The AAF is a Charitable Foundation, independent of government or local authorities. The AAF delivers programmes that improve opportunities through educational partnerships in the United Kingdom. Children taking part in the program are likely to have significantly better chances and results in education, often going on to a high-ranking University, and eventually into rewarding employment. The AAF’s flagship programme is the Academies Partnership Programme (APP) in Kent and we have recently established a second programme, United Access in association with United Learning. Q: What is the AAF? A – The AAF is an educational charity founded to accelerate educational achievement and widen access to higher education for students from less privileged backgrounds. Q: What is the APP? 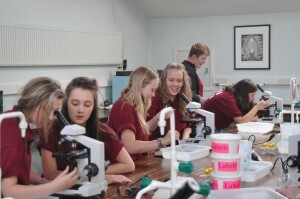 A – The Academies Partnership Programme in Kent is our flagship initiative. It supports the brightest students no or limited experience of higher education from Year 9 through to their A-Level examinations and beyond. For a more in depth look at how the programme works please see our ‘Guide to the APP’. Q: What is United Access? A – United Access is the second AAF scheme to be established, and has been done so in partnership with United Learning. United Access is based on the APP model and will provide opportunities to students at six United Learning Academies. Q – Why should my child participate in this? A – It is a unique opportunity to accelerate your child’s educational achievement and opportunities. The APP and United Access commit to supporting your child for four years, as they progress through their GCSEs and A-Levels. 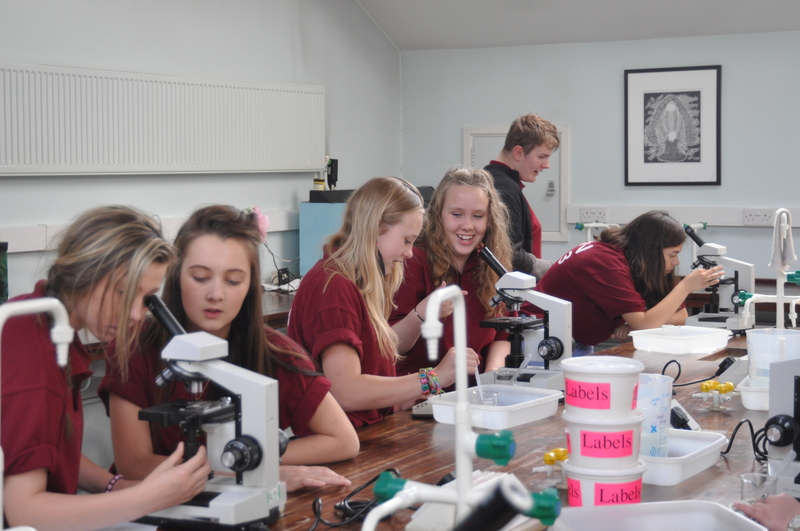 This period of support is unprecedented for charitable educational programmes in the UK. Our programmes are designed to expose students to new ideas and concepts, reinforce their existing subject knowledge and to raise their aspirations. The combination of residential events, day events and ongoing mentoring from Oxbridge undergraduates offers your child the chance to fulfil their academic potential, and have fun along the way. For further information please see our student testimonies. Q – What will it cost me? Are there hidden costs? A – Nothing! The APP and United Access are totally free to our students. Q – How do you select the students who go into the course? A – Students who are eligible for the programme will be contacted by their schools and encouraged to apply. These students will be asked to fill out an application form and to write a letter of application. Each school will then narrow down their shortlist and submit a final list of names, who will progress to interview. These interviews are informal conversations the student has with the Trustees and with other supporters of the scheme, designed to ensure that the students we select are suitable to the programme. This process is a vigorous one by design. By making students go through such a process we ensure that our students are fully committed to the programme, which is key for a programme of this length. Q – How will they get to the events? A – This varies from event to event. Generally events are in term time so your child’s school will provide transport to events. However, after the one-week residential events it is usually the case that parents come to collect their child as this date is usually during the school holidays. Obviously, if this is problematic alternative arrangements can be made, on a case by case basis. Q – Can they try it out and then withdraw if they don’t like it? A – The APP and United Access are 4 year programmes and students should think very carefully about this before they apply – it is a big commitment. With that said, students may leave the programme if they so choose, either due to lack of enjoyment or for other extenuating circumstances (e.g. moving out of the area). However, this is rare and we are yet to have a student leave the programme due to lack of enjoyment. Similarly, we accept that students might not be able to make every APP pr United Access event. We do ask that parents and students do everything possible to ensure that the students can attend our events, but know this isn’t always possible. Q – How much is the extra workload? A – APP and United Access students are occasionally set extension work, usually to be completed between events. This means that they have a significant period of time to complete the work, which is meant to develop their skills and aid their academic work, as well as keeping them engaged with our programme. As such, work varies across the 4-year programme. For instance, the workload is significantly lighter in Year 11 when students have to revise for their GCSEs. Instead, these students are encouraged to make full use of their mentors’ experiences and knowledge to help them deal with any issues in the run-up to their exams. Q – What happens if they move schools? A – Both programmes are funded externally and we aim to ensure that our students stay on the programme even if they move school. We have had several students move from their academies to grammar schools due to their excellent GCSE results. However, final decisions will be made on a case by case basis. Q – Who are the mentors? A – Our Learning Mentors are current undergraduates, from Oxford and Cambridge Universities, who are passionate about education and want to encourage bright students who might otherwise not attend university to reach their academic potential. The mentors, like the students, go through an application and interview process and are subjected to a DBS (background) check. They give up time throughout the year to support their students in any way they can. Q – Who is behind AAF and why are they doing it? A – The AAF is a voluntary organisation. AAF is fortunate to have a board of very passionate and experienced Trustees, supporters and donors. They are united by their belief that socio-economic factors should not limit the educational opportunity and achievements of less privileged students in the UK. For more information, see our Trustees’ biographies on the People page of our website, and our section on Supporters. Q: – Is the scheme run nationally? A – The APP is currently run in partnership with the Kent Academies Network, and United Access is run in association with six United Learning Academies. Following the establishment of the second programme the AAF has ambitions to expand its geographical scope across the country over time. We would love to hear from any schools or academy chains who would be interested in working with us to achieve that aim. Q – Can I meet a student already on the scheme? A – If your school has participated on our programmes in previous years they should be able to arrange a meeting with one of their students who is currently a part of the APP. Our students are frequently used in the recruitment phase of the application process, where they provide their own thoughts and opinions on the benefits of our programmes. Q – What if I don’t want to go to university? A – Our programmes are designed to expose students to the opportunities that a university education can provide. As such, for our students to get the most out of the programme we expect them to be at least open minded about potentially attending university. However, if at the end of their 4 years with us, they make an informed decision that university is not for them, we will consider that a job well done. University is not for everyone, but we believe it is crucial that students are able to make an informed choice and explore their options.